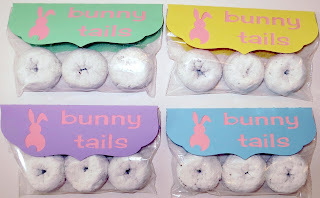 I made these cute "Bunny Tails" snacks using my Silhouette. I used the following shapes: "2 owl valentine treat bag topper" and "bunny" and used "Cherry Cream Soda" font. I cut the "Bunny Tails" tags in pastel colors and then cut just the tag part in pink to put behind the pastel cut out. I put 3 powdered donuts in a snack size ziploc and then attached the topper with double sided tape. 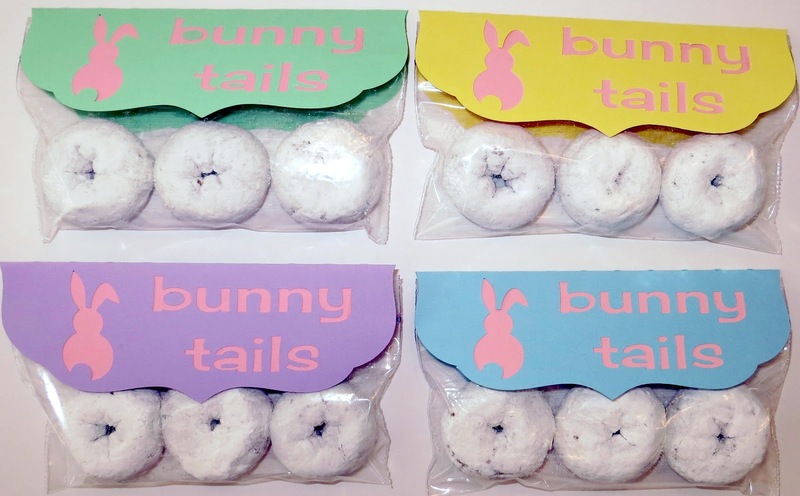 I really wanted powdered donut holes to better resemble a bunny tail but couldn't find them. I don't think the kids cared!